Pinnacle Civil Constructors (managed by Summit Pipeline Services) is a heavy civil contractor, with strong Indigenous Partnerships in Ontario. Our projects involve excavations, grading, access roads, pads and tailings management. 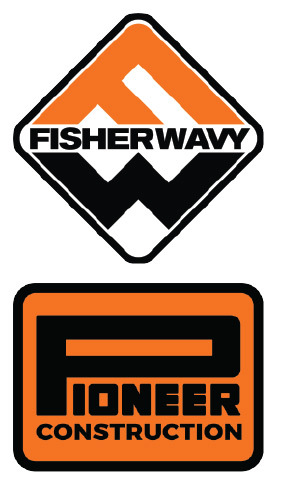 Pioneer Construction and Fisher Wavy Inc. are Northern Ontario’s leading suppliers of ready-mix concrete, asphalt-paving and civil construction work. Fisher Wavy’s Mining Solutions offer a diverse range of construction materials and technologies to improve efficiencies in the construction, development and extraction phases of both surface and underground mines. From on-site backfill production to shotcrete delivery systems, grouting solutions, bagged roadway aggregates and stemming materials, our experience technical team can assist you with all of your mining needs. Pioneer Construction works closely with mining stakeholders to meet the demands of the industry, from the construction and rehabilitation of dams to the construction and maintenance of roadways, the complete design and operation of open pit mines and the production of custom aggregate and asphalt products for both above and below-surface applications. Building roads to withstand the Northern climate required specialized skills and products. The same goes for the harsh underground mining environment. Pioneer Construction understands both industries. Like the highway construction, underground road construction requires the best, durable product and qualified, experienced team. From underground road construction to tailings dams, Pioneer Construction has the expertise to deliver efficient mine site services. We custom design, fabricate, machine and install high quality, production-boosting liners to handle some of the toughest materials on the planet, from coal, fly ash and gypsum to cement, aggregate and other sticky, non-flowing bulk materials. We also offer custom fabrication & design and CNC machining capabilities. We’re reinvigorating the Porcupine district through investment and rehabilitation. It’s an important part in our plan to increase our production, grow our reserves, and reduce our costs. The PPDA (Porcupine Prospectors and Developers Association) is a lobby group representing the interests of mineral explorationists in the Porcupine District of Northeastern Ontario. We concern ourselves with local, provincial and national issues affecting our members. Local and operated in Matheson Ontario. Specialized in aluminum manufacturing. Crane service, steel building erection, telehandlers and boom lift rentals, mobile welding service Cwb certified, aboriginal ventured. Procon Canada East Ltd. provides shaft sinking services for either concrete circular shafts or convention timbered shaft. We work with the client, as a team, to meet their specific needs. Any needs related to shaft sinking can be provided, such as engineering services, management and supervision services, etc. PROVIX is Canada’s leading supplier of equipment and vehicle safety camera systems and lighting to the Mining industry. 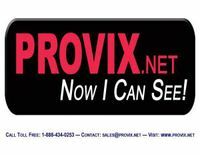 PROVIX enhances vision through the deployment of technologically advanced camera systems and third generation LED lighting. Custom Camera systems and equipment lighting that can include remote viewing capability, wireless recording, thermal vision, programmed and triggered event monitoring, infrared night vision and safer, more productive operations in any mine, pit or quarry.